BEAUTIFUL LAKE VIEW POOL HOME- in Greenbrook Gardens is a must see! This Bruce Williams built home offers an OPEN FLOOR plan with many upgraded finishes. As you pass the meticulous landscaping and enter into the foyer looking out to the pool with lake views. The dining room, living room, as well as all bedrooms have rich wood laminate flooring and ceramic tile in kitchen/family room area. You can’t help but take notice of the double trey ceiling, triple slider and openness into the family room. The kitchen has a leveled breakfast bar for endless entertaining and family eating. Stainless Steel Range, raised-panel cabinetry and a large pantry right off the laundry room, to your 3-car garage with plenty of storage. The great room has two sets of sliders and decorative windows bringing in plenty of light and pleasing lake views. The Master Suite also has beautiful lake views and a slider out to pool area. There are two walk-in closets that lead to the Master Bath with a soaking tub, Roman shower and cultured marble vanities. The 2nd & 3rd Bedrooms have a shared bath in between, while the 4th Bedroom in the back shares the pool bath. The Lanai is very tranquil & private with a spectacular lake view and mature landscaping. The free form pool with waterfall feature & decorative tile with screen enclosure lets you enjoy Florida outdoor living! Greenbrook offers plenty of walking trails, picnic pavillion and sport courts. 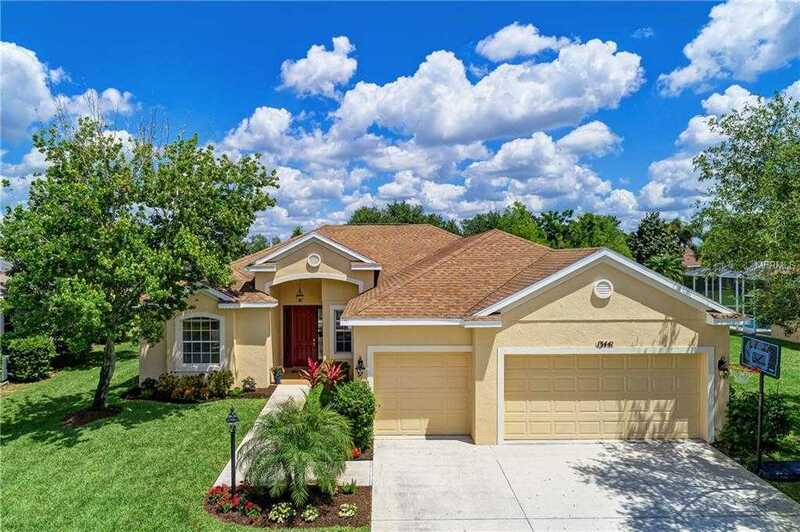 In the top A-Rated schools, this home is close to everything in Lakewood Ranch! Please, send me more information on this property: MLS# A4433188 – $410,000 – 13441 Purple Finch Cir, Lakewood Ranch, FL 34202. I would like to schedule a showing appointment for this property: MLS# A4433188 – $410,000 – 13441 Purple Finch Cir, Lakewood Ranch, FL 34202.